Rediff.com » Business » How will GST impact India's media and entertainment industry? How will GST impact India's media and entertainment industry? Though GST could mean complications in the short run, it will bring in undeclared revenues and streamline taxation across the value chain, the benefits should be worth the pain. The goods and services tax or the GST is scheduled to be rolled out from July 1. What will it mean for India’s Rs 126,200-crore (Rs 1,262 billion) media and entertainment industry? The answer depends on three things. One, which segment of the industry a firm belongs to - film, TV, print, radio, online or integrated. And within that where in value chain does it sit - content production, distribution or retail. Much depends also on the structure of the industry and business dynamics among other factors. Take the film industry for example. For production firms there are benefits. Unlike earlier, producers can set off the GST on revenues against that in input costs. They couldn’t earlier claim the value-added tax (VAT) paid on equipment or other things. However in the exhibition or theatrical part of the business things get more complicated. Entertainment taxes vary wildly across the country so the impact differs depending on which states a chain has a larger concentration of screens in. Under the GST, tickets below Rs 100 will attract an 18 per cent tax while those above Rs 100 are at 28 per cent. 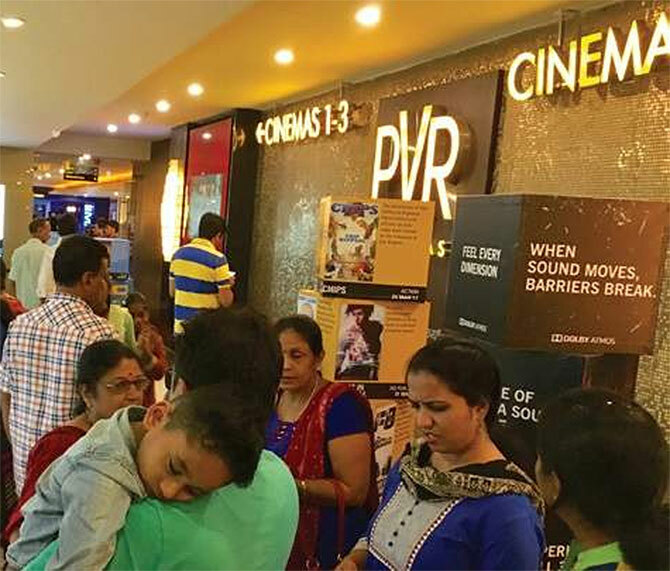 Multiplexes typically average way over Rs 160. An analysis of 20 states and union territories by the Multiplex Association of India shows that a 28 per cent GST on tickets will have a negative impact in 12 states, neutral in one and positive in 7. The 18 per cent on food and beverages will be negative throughout since earlier VAT was lower at 12.5 per cent. The average price at single screens, which are in decline, is a matter of debate. But the better ones would average more than Rs 100. So for all practical purposes the GST will have a negative impact. The good thing is it will force transparency on single screens, many of which operate in cash and simply do not pay entertainment or other taxes. And that is the second variable. The impact of the GST cannot be measured blandly as negative, positive or neutral in tax terms. If it works, it will force discipline and transparency lacking in large parts of the business. For instance about two-thirds of all cable systems in India are owned by local politicos and their affiliates. And there are massive amount of under-declaration of revenues. Since the GST process forces you to match input and output across the supply chain cable operators will have to start showing their revenues and pay taxes on it. If the GST helps achieve 100 per cent transparency it could release anything between a billion to two billion dollars into just the television ecosystem. The third variable is the ability of the industry to manage the complexities involved. For example earlier companies needed to be centrally registered. Now “you need to have registration in each of the states you have operations in,” says N Subramanian, CFO, ENIL. Its brand Radio Mirchi has 50 stations in 22 states. It will now need to register in each of these. This sounds more like a procedural hassle. However Subramanian points out that it has cost implications. Small towns for instance are not big ad revenue generators. So registering, putting in people and a framework for GST compliance in each state will add an estimated Rs 4-5 lakh per person, per annum to fixed costs at every location. Multiple registration also complicates internal transfer of services within offices of the same company. Much of this holds true for newspapers and radio firms which operate locally and regionally. For TV networks which are national, it may not present the same challenges. So the GST could mean complications in the short run irrespective of which segment you operate in. However it brings in undeclared revenues and streamlines taxation across the value chain, the benefits should be worth the pain. Will GST make Life simple? Not a chance!